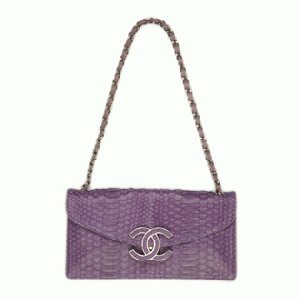 CHANEL BAG MALL was formerly an online handbag store which has been shut down by Court Order for selling Chanel handbag, watch and wallet replicas. Resulting from legal actions, a Federal Court ordered that the store be permanently closed and the domain name be removed from the ownership and control of the former owners who were found to be dealing in fake Chanel goods. Chanel Bag Mall was formerly an online Chanel replica outlet which offered replica Chanel classic flap bags, and other fake chanel purses. Many online replica outlets who attempt to mislead potential buyers try to make you believe that a replica Chanel bag is an alternative for those who do not want to pay the price of an original designer bag. The truth is that a replica is never a suitable alternative for anything. Wearing a replica not only shows support of crime, but actually finances even more crimes. A replica product is illegal. Logos, designs, names, trademarks and other registered intellectual properties are used without permission from the owners in the making of a replica, which violates many federal laws and regulations. Replica outlets are fundamentally illegal sources of income for large organized criminal enterprises. Replica profiteers are not just renegade businesses run by one or two individuals. The replica trade is largely owned and controlled by extensive rings of organized crime syndicates who have vested interests in other crimes, many of which are far more dangerous and audacious. Selling replicas is often part of a much bigger criminal plot involving crimes such as cybercrime, human trafficking, fraud and terrorism. It is best to know what you are getting and who you are getting it from before spending the money, especially when shopping at online outlets. If skeptical, just don't buy it, and hold out for the authentic.